The Zeta Sigma Chaper enjoyed their January social at the Fairfield Bay Country Club, hosted by Charlotte Cumings. The members enjoyed a delicious lunch at the Top Of The Rock, then proceeded to the Fairfield Room. A spirited game of bingo was played, with Olivia Dowell serving as caller. Several prizes awarded to the winners, were provided by the Chapter and Social Committee. Much lively conversation and laughter were part of the game. Those members who were unable to attend missed a great time. The next regular meeting will be held at the home of Linda Reynolds, Co-hostess is Dolores Frosaker. 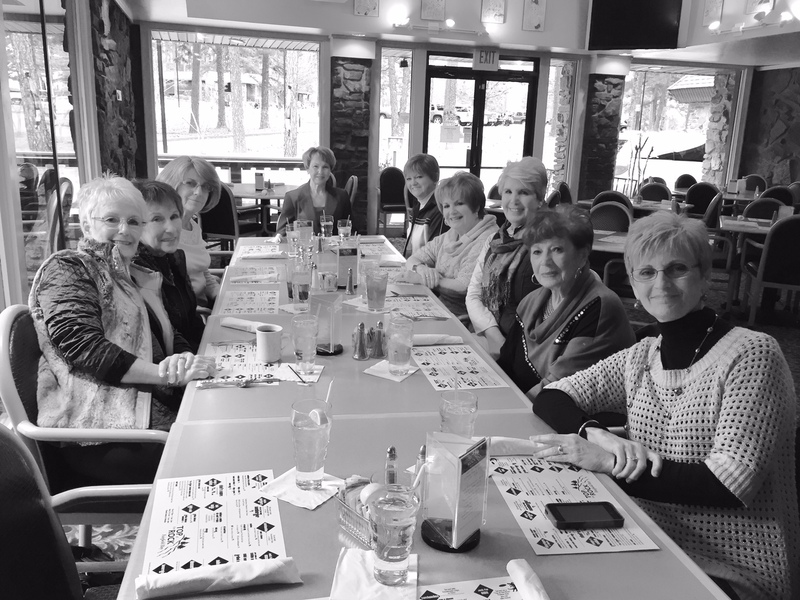 Pictured, left to right in the photo , Tauna Mcbee, Charlotte Cumings, Gesine Ladage, Freida McClellan, Patti Leitner, Sharon Luxon, Olivia Dowell, Mary Baker, and Kay Otis.